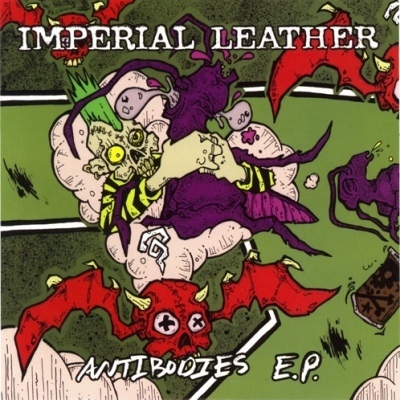 Home › • IMPERIAL LEATHER - Antibodies 7"
Four new songs with the new and improved Imperial Leather line-up, playing their hallmark style of rip-roaring punk rock&apos;n&apos;roll that&apos;s catchy as hell. If you are still not enlightened, IMPERIAL LEATHER are ex-members of such legendary bands like NO SECURITY, DS-13, etc. with Amyl of the infamous NYC all female outfit SPIDER CUNTS on lead vocals and in your face attitude.